Congress expressly exempted commercial broadcast radio under U.S. copyright law from paying a royalty to recording artists and record companies when their songs are played on the air. Student Jay All explained the current system, criticized its inequities and proposed some fixes. 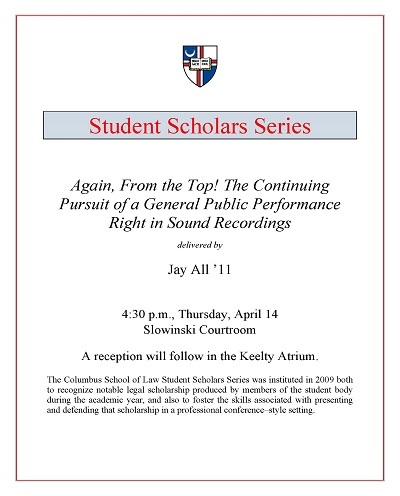 All, Jay, "The Continuing Pursuit of a General Public Performance Right in Sound Recordings" (2011). Student Scholar Series. 9.